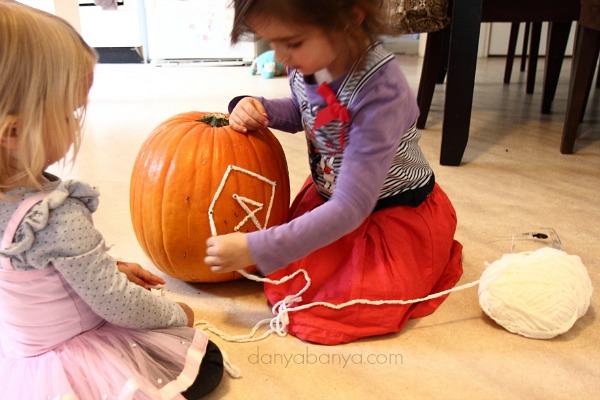 We had so much fun eating our spooky oranges, giving out our spooky eyeballs, and decorating our pumpkin last year, that I couldn’t wait to do another Halloween activity with the kids again this year. I then gave her a ball of fluffy white wool, and let her have a play. I didn’t give any instructions at this point, I just let her explore this new medium. She wound the wool this way, and that way, and then unwound sections to alter her evolving design. 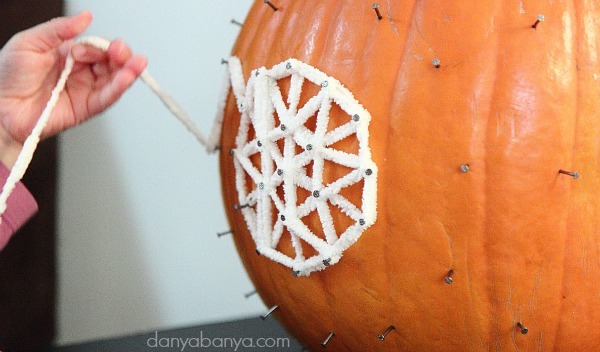 We moved the pumpkin up onto a little table which made it easier for her to work at eye-level. I popped on an audio book (we’re listening to The Faraway Tree triology at the moment), and the girls happily took turns tinkering with the geoboard for the next half an hour. Two year old Bee went for a draping effect. 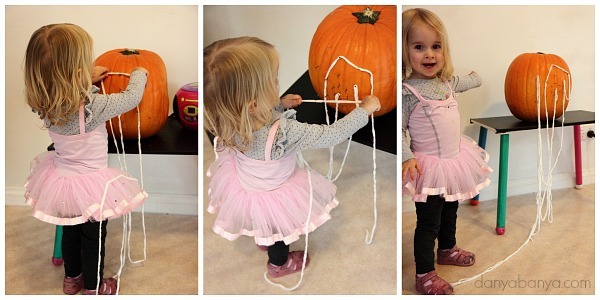 And four year old JJ came up with this yarn spiral – doesn’t it look cool! And guess what’s super fun? Unwinding! There’s something therapeutic about feeling the wool pop over each nail as you gently tug it. 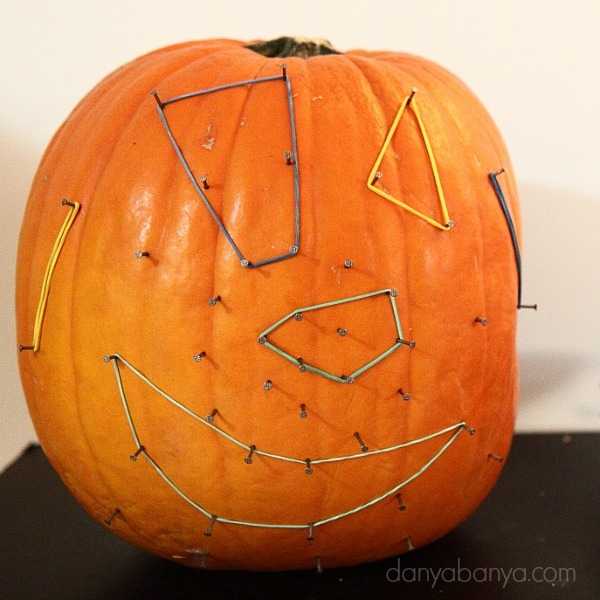 They also used the geoboard to make fun shapes, take them off again, and then make some more. It’s like an evolving piece of abstract geometric art. Whilst a grid shaped geoboard may be better suited to learning traditional shapes, I noticed JJ was making and naming triangles and (rough) rectangles and squares. All playful maths practise. Bee was very good at taking the elastic bands off. She was also able to stretch the elastic between two nails to make a line, but was less inclined to incorporate a second dimension. 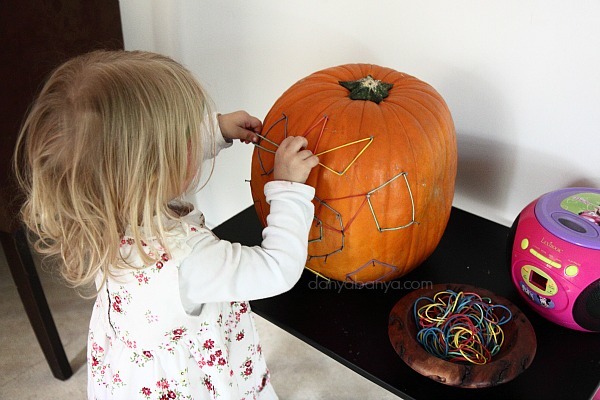 The next day I discovered that JJ had cut up all the elastic bands to make her own “spagetti bolognaise”, so our geoboard is waiting for the next provocation… I have a few different colours in my wool collection, so maybe I’ll see how red looks next?? 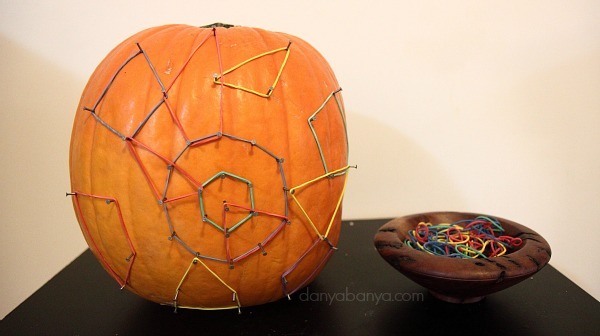 EDIT: Just popping back in to mention that our geo-pumpkin made a super cute stop for Halloween night! 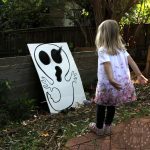 DIY Halloween props for the win! 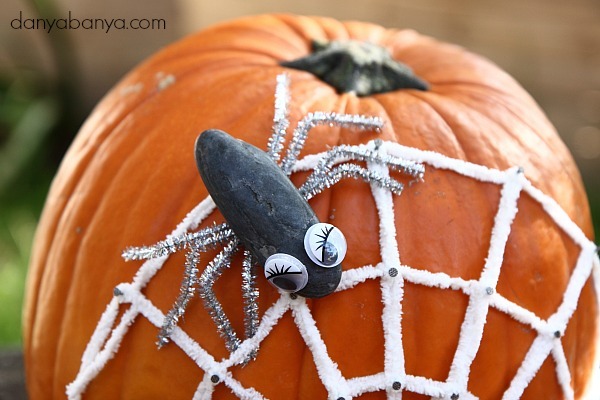 If you’re looking for more suggestions, you can find all our other Halloween ideas here. 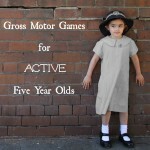 Or you could subscribe to receive all our latest activities via email. 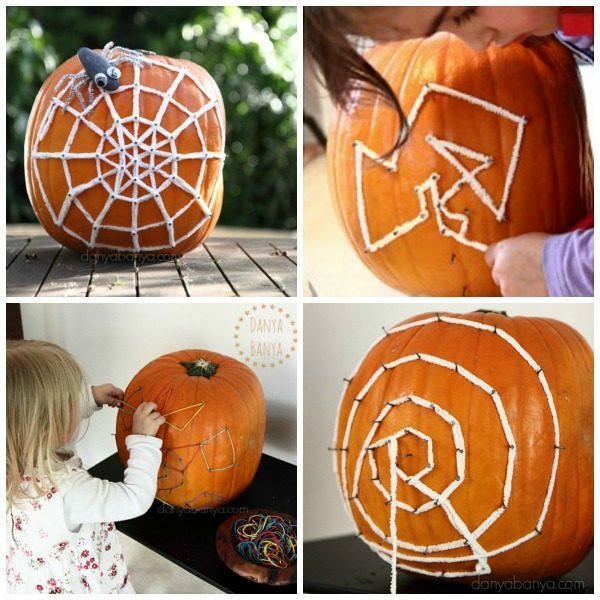 What a clever and creative idea! 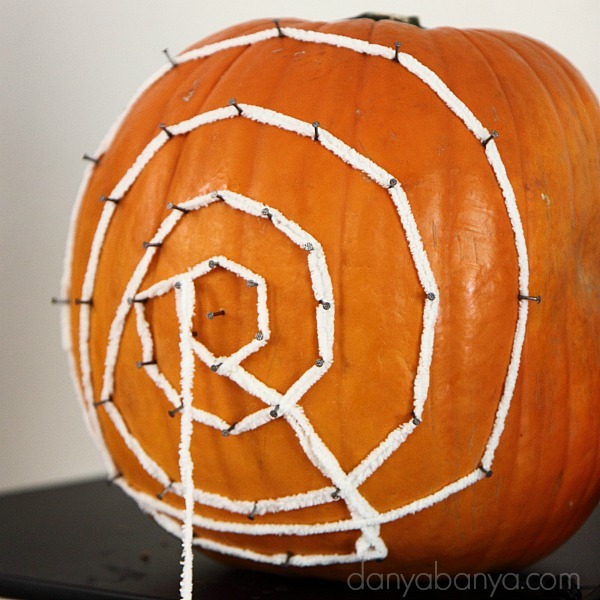 Never thought that so much can be done with a pumpkin! Pinned! Oh wow. You're so creative!! 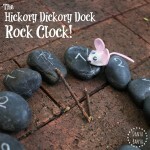 Such a cool idea and one I know my little girl would have fun playing with. 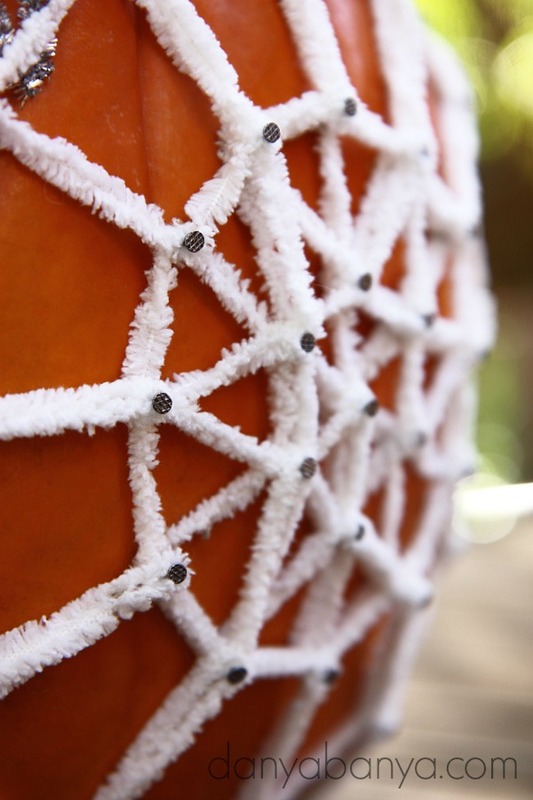 This is such a unique creative pumpkin idea D! 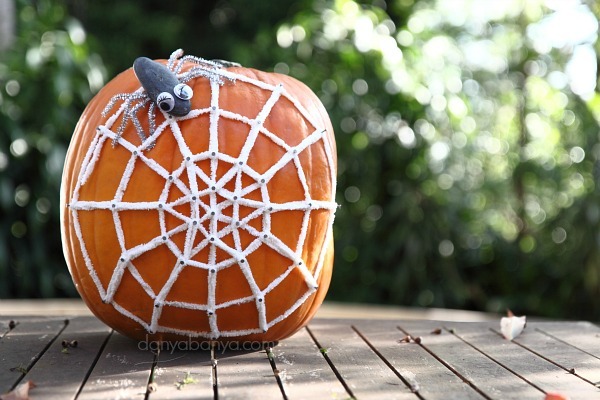 This is just brilliant, I'm not a fan of most halloween crafts but this I love. 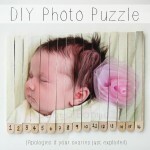 We will have to give this a try, love all your gorgeous pics! 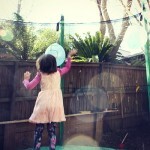 My recent post Parent Direct. For educational toys and gifts direct to parents. This is a great idea! I can imagine my kids loving it. 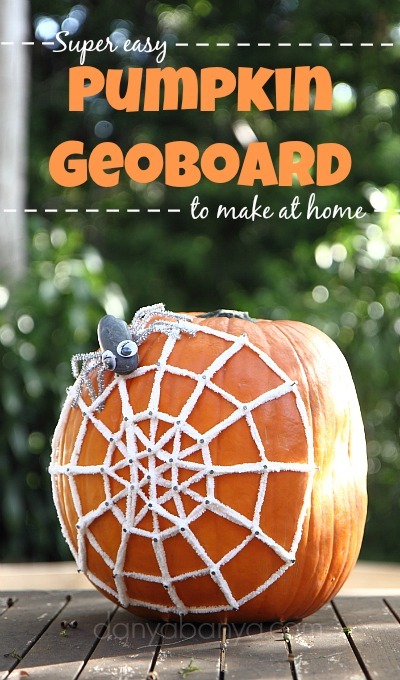 I love the idea of making a geoboard on such a unique surface – great idea!